If there is something that the Far Cry series has always succeeded in, it’s building elaborate and engaging worlds to explore. From game to game, players have been thrust into desert landscapes, tropical forests, and mountain ranges. And, each game has featured its own version of neurotic, sadistic, and sociopathic villains. While Far Cry games of the past have brought players to foreign lands, the next iteration, Far Cry 5, will keep players close to home right in the U.S. The basic premise is that a cult of religious zealots, called “Heaven’s Gate,” has taken over a town in Montana. The leader of the cult looks to be the main villain and will likely shape up to be an iconic villain in the Far Cry series. The players are tasked with building a resistance to combat Heaven’s Gate and take back the town. This game shows how Ubisoft is beginning to think outside of the box. While it looks to stay true to the wacky anarchy that makes Far Cry games so fun, Far Cry 5’s story also echoes real-world issues. While Montana might not seem like the most exciting landscape for a video game, recent trailers of Far Cry 5 prove that it will likely be a vast and engaging world to explore, as Far Cry worlds always have been. However, if the game alone doesn’t interest you, maybe you’d like to hear about some of the DLC. According to the publisher, the DLC is designed to “take players on three uncanny adventures with a unique Far Cry twist.” “Hours of Darkness” will take players back to Vietnam where they will go to war with Viet Cong soldiers. “Dead Living Zombies” is basically what it sounds like, pitting players against hordes of zombies. Finally, “Lost on Mars” will send players to Mars to battle Martian arachnids. So, with the main storyline plus all of the DLC, Far Cry 5 is sure to provide near-endless entertainment. 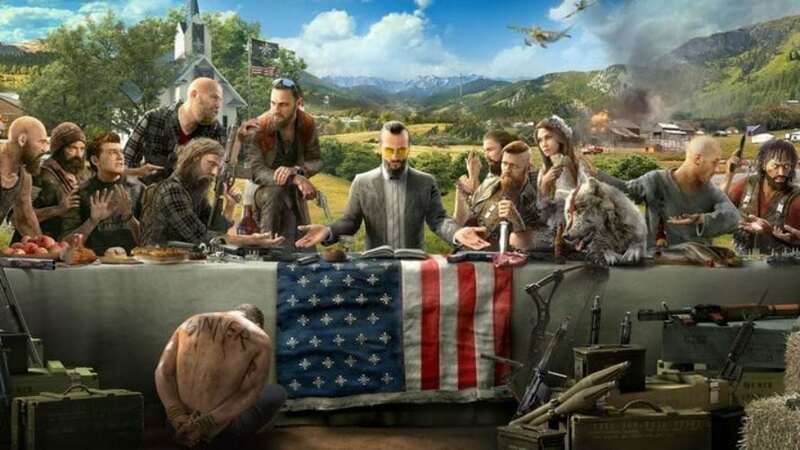 And, given this U.S.-based world that may hit close to home for some, Far Cry 5 may even be one of the more thought-provoking installments in the series. Luckily, it’s release date is coming soon on March 27th, 2018.